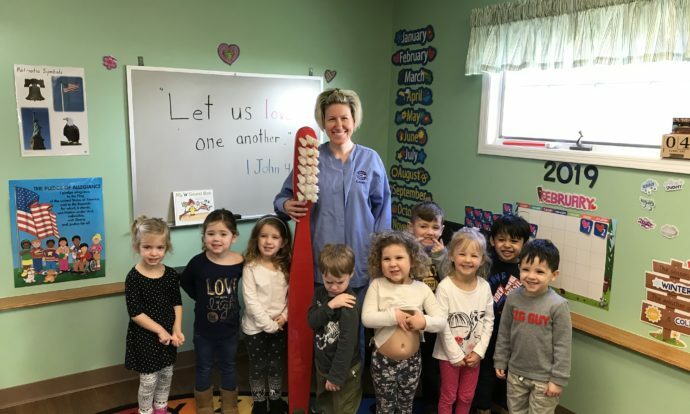 February is Dental Health Month. 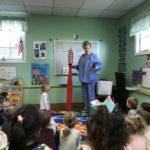 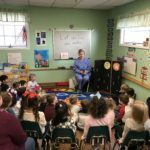 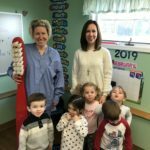 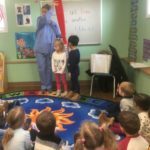 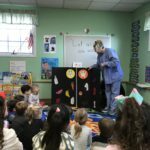 Miss Leah from Dr. Mann’s office made her annual visit to our school to teach the children about how to take care of their teeth. 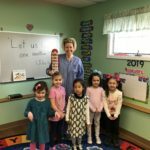 She read them a story, introduced them to her friendly dragon puppet with lots of teeth, talked about good and bad foods for teeth and even used a few children as teeth to be brushed and flossed! 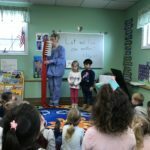 Miss Leah brought smiles to the children’s faces and helped them understand the need for good oral hygiene! 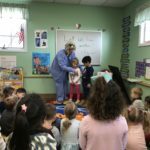 Thank you Miss Leah!! 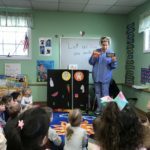 Magic Tricks and Grandpa JimmyFarmer Kayla Visits LFLC!